Wood pellets provide a sustainable and reliable source of heat and hot water for your home and now more than ever are a credible alternative to oil. Wood pellet boilers are clean, easy to manage and offer the same level of control and flexibility as conventional oil and gas boilers. However, no matter how good your boiler is, it can only deliver the maximum amount of heat that the fuel can supply; it is therefore of vital importance to be sure you are using the highest quality fuel possible. In order to be able to claim your renewable heat incentive (RHI), your wood pellets must come from a supplier registered on the Biomass Suppliers list (BSL). As part of your RHI commitment you will need to quote their BSL number on your RHI documents. There are many different grades of wood pellets available on the market, but the main quality benchmark is ENPlusA1, which is recommended by most boiler manufactures. Woodlets are ENPlusA1 and our parent company, Land Energy, is BSL registered so your RHI payments are safe with us. For more detailed information on the quality of wood pellets please see our dedicated page Wood Pellet Quality. Wood pellets boilers are energy efficient Traditional wood pellet boilers require regular cleaning. 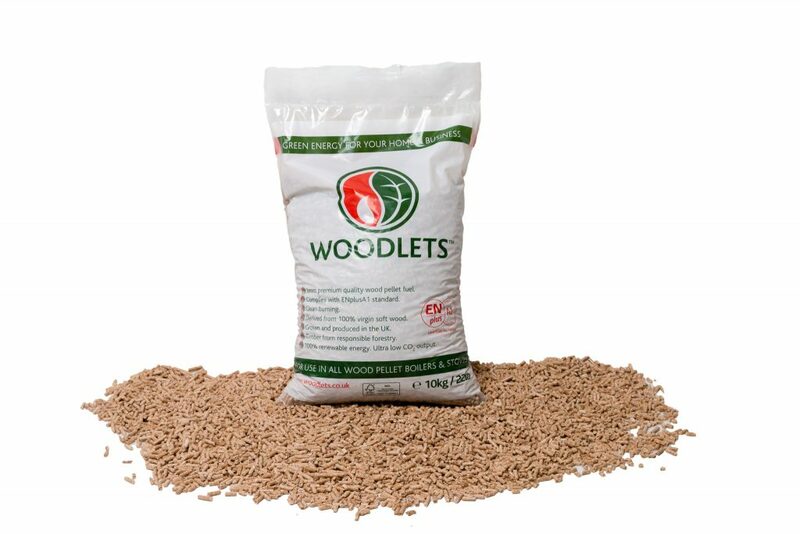 Wood pellets are a renewable source Wood pellet boilers have ash draws that need to be emptied.